CRM shouldn’t really be about computer systems or software. 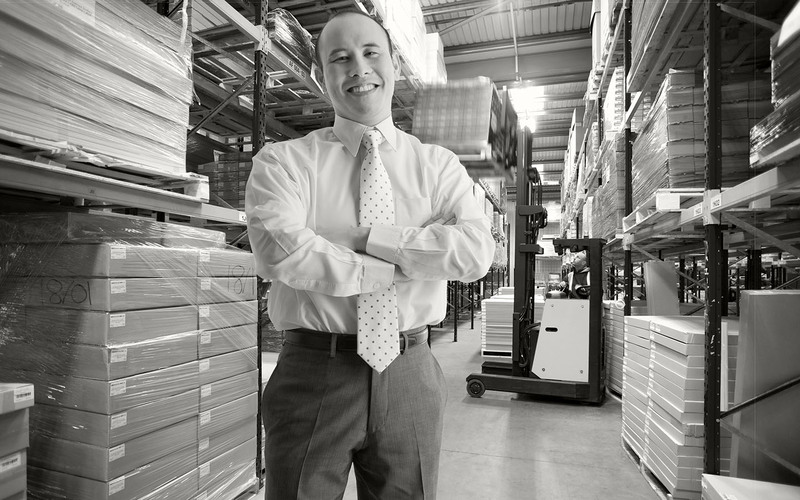 It is much more of a philosophy about how customers should be managed at the centre of your business. Yes it is about making money but it should also be about developing trust in your customers (and employees) and ensuring that your staff manage and serve customers in ways that your customers want. More often than not you can just be too busy dealing with the “day-to-day” to spend time your businesses strategy and how it should be developing in the years to come. This should be of great concern to you as being blind-sided by your competitors on acquisitions, JVs or strategic alliances can dramatically affect your business model. We know how difficult it can be to select software applications that allow you to manage your front end processes efficiently. You need to consider many things but above all you want your sales and marketing staff to have easy access to as much information that they need to have in order to market and sell your products or services easily. We’ve partnered with a select number off organisations that we know will allow this to happen. 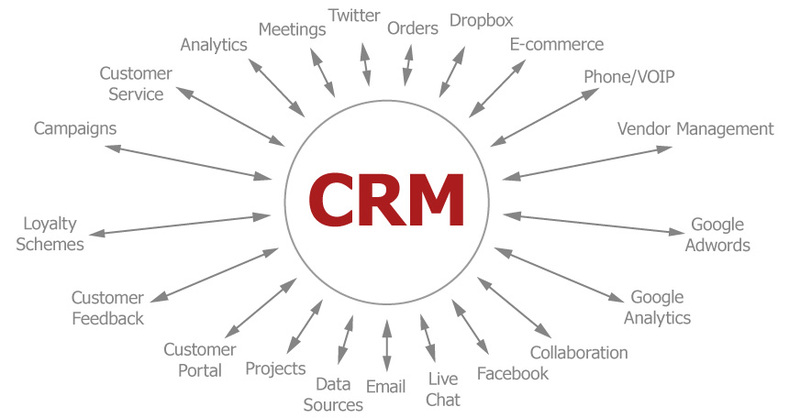 CRM shouldn’t really be about computer systems or software. It is much more of a philosophy about how customers should be managed at the centre of your business. Yes it is about making money but it should also be about developing trust in both your customers and employees and ensuring that your staff manage and serve customers in ways that your customers want. If this happens and you are easy to do business with then your customers will preferably purchase your products or services (or donate to your cause) over your competitors. However we all have to be realistic in our daily lives and this ultimately means that you have to have a way to store, access and interrogate information that you gather on customers in order to be able to serve them better and develop this trust. This is where software and systems can help and where most companies start their CRM journey. System Design – Good CRM system design is vital in ensuring your whole team engage with your marketing processes and the investment you have made in CRM. This system design process has to allow for a straightforward way to enter accurate data. This must exibit real value for the userand allow for easy updating. 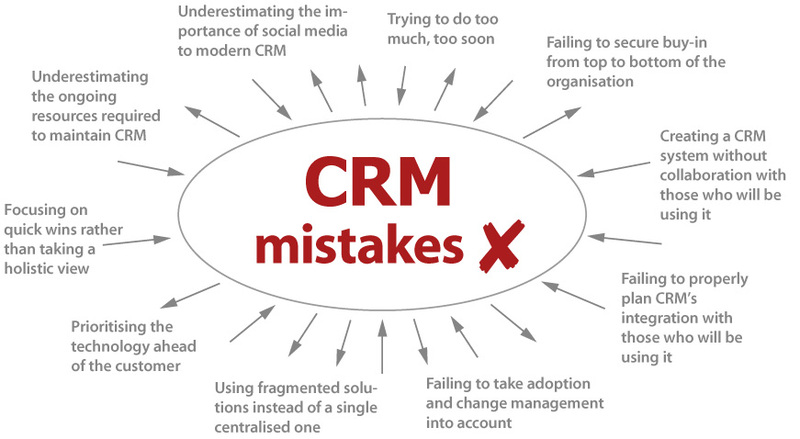 The CRM system just needs to work out of the box and first time, you shouldn’t have to do battle with it. Most companies don’t want all the incredibly complex bells and whistles they just want an easy to use system that is going to act as a central customer ‘go to’ system but also to allow for marketing automation and easy switching between regularly used applications. There is all too often a disconnect between what marketing needs and wants and a system designed by the IT department. Any system should be ‘marketing-led’ and the system technology aspects should, wherever possible, be adapted to all the core revenue generating activity within the company run as smoothly as possible. At Clareti we don’t like the phrase “computer says no!” and neither should you. Training – When considering training requirements the identification of system champions and the training of key people who are going to be the go-to people in the initial implementation will help in the implementation process. Don’t assume that staging one training course for everyone will be sufficient. Drip feeding of key system elements and processes over a period of time and giving people tasks to underline the company’s commitment to the change process will be vital. By training the trainer you will benefit not just from reducing overall training costs but also ongoing support costs. After all a system that needs large amounts of ongoing external support is not a comfortable place for your organisation to be and reflects badly on the system design or user interface. Data Migration – Considering the extent to which data is migrated from existing systems and processes is a core part and an often overlooked one of the CRM implementation process. Clearly for a new company there is very little data to migrate but if your business has been running for years it is important to consider how much and which data is going to be useful attached to customer records. Is the data useful and does it have a shelf life? Will people actually need this data in order to manage future business? These questions need to be carefully considered and advice taken on the best approach. 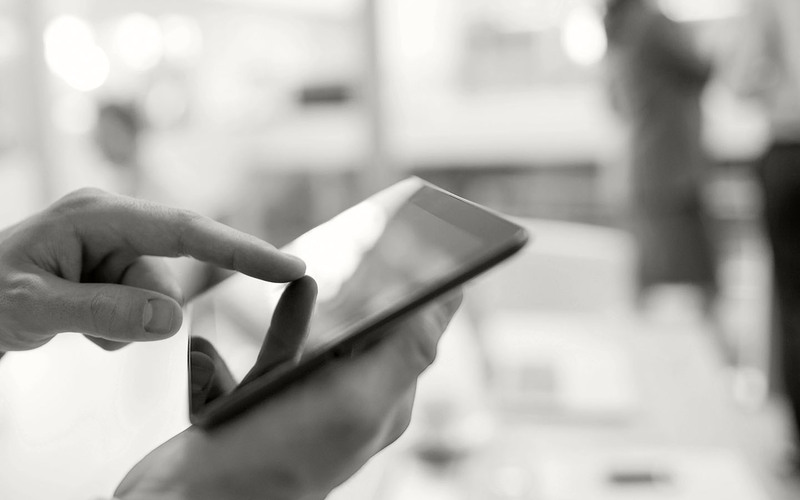 Clearly if maintaining a complete history of purchases is important for you you will need to consider integrating data from existing systems and keeping it regularly updated. Integration – It is becoming far easier than ever to integrate a whole host of systems through the API interface and there are many companies out there who are able to provide stable and reliable synchronisation of data sources. Facebook and Twitter posts about your company can be stored alongside order details or invoices. This has long been the domain of major IT projects for only large enterprises but is now possible with small scale investment giving incredible opportunities for potential data mining of trends and associations even for small organisations… we discuss much more on integration here. Automation – The concept of Marketing Automation can scare many traditional marketers. However, when correctly implemented, it will help you nurture potential clients and retain existing clients with relevant information and content. The aim is of course to grow your business organically and it will help you do this by automating specific aspects of your marketing to win new customers, develop existing ones or retaining the valuable ones! Clareti will help you demystify the process and adopt simple strategies to build engagement with customers through the use of the best marketing processes and systems. 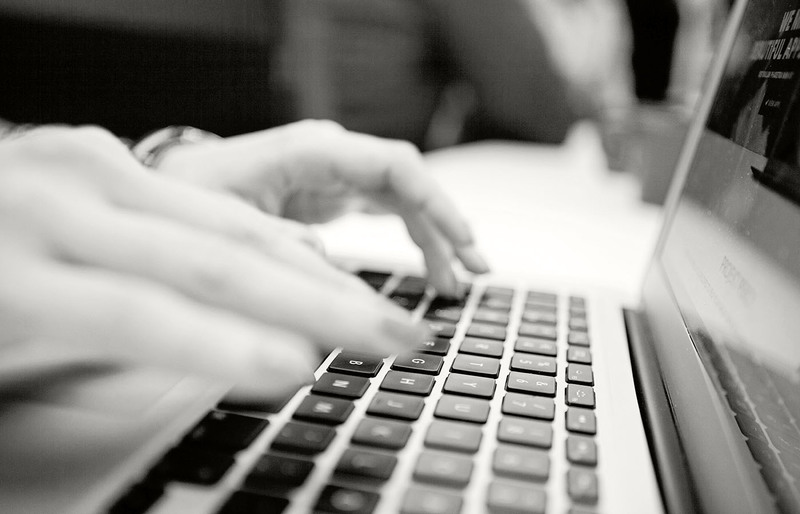 Let us help you specify and design your CRM system through a targeted consultancy project. Our experience in this area is huge and you will be getting knowledge built up over many man years in both specifying but also using these systems. Clareti’s experience in this area comes from detailed involvement in the M&A function in large corporates along with successful funding rounds for a number of startup organisations. This knowledge coupled with a host of experience in strategic alliances gives Clareti the ability to help you run scenarios on how your business may develop in the future and what’s more important, help you to make it happen. When it comes to your commercial processes whichever area of marketing or sales you find challenges with we listen to your concerns and problems and usually talk to many others in your organisation. We will then suggest options and solutions and work on a realistic, customised improvement plan that will address your marketing or customer management processes or just the way you do things. This will of course be based on real life experience and knowledge and familiarity with commercial best practises. We won’t be afraid of giving you down to earth advice and detailed insight into a better way of working. “Clareti came highly recommended and we have now been working with Neil for some time on our Zoho CRM rollout and integration of associated IT and Marketing systems. Clareti have helped Benares make this important transition and continue to provide excellent advice and improvement services”. When choosing the front-end systems and processes on which your sales and marketing staff depend you need to be sure that they will be easy to learn and use, will give your staff the information they need to be efficient and will be future proof. The organisations that we have chosen to partner with here will give you this combination. Follow this link to further information on our website regarding Zoho’s business applications. More than 20 million users around the world across hundreds of thousands of companies rely on Zoho every day to run their businesses – including Zoho and ourselves. A business can choose to run the entire Zoho suite or just a single application. Zoho applications are available directly from us, or from Zoho directly. Please get in contact with us first though for free advice on the most relevant applications for your company. Zoho is a division of Zoho Corp., a privately-held and consistently profitable company, with more than 4,000 employees. Zoho is headquartered in Pleasanton, CA with international headquarters in Chennai, India and offices in Austin, London, Yokohama, and Beijing. For more information, contact Clareti. Many of you will have extensive Connections on LinkedIn and it can be very frustrating that currently there is no easy way of checking whether they are already on your Zoho CRM system or adding them if they aren’t. Well LinkMatch now offers a great way of doing this. It will show you within your LinkedIn account who is already a Contact or Lead and if you want to add them you can with the click of a button. It will only load the data that the person has made publicly available but this can save a lot of time and effort and allow you to concentrate on marketing to your connections. Please give us a call or get in contact for a demonstration of this extremely useful application if you use LinkedIn.